Former Tiananmen student leader Wuer Kaixi made yet another attempt to return to his home country yesterday, but failed once again. Legally still one of the "most wanted" due to his leadership role in the 1989 student movement, Wuer Kaixi has been living in exile since escape China 24 years ago. While other student leaders in the same situation have had their family members come abroad to visit them, Wuer Kaixi's parents are never permitted to leave China. So he hasn't seen his family for almost a quarter century. In the last few years, Wuer Kaixi has made several attempts to re-enter China to turn himself in as a "wanted criminal" in the hope of finally achieving a family reunion. He has tried traveling from Macau, Japan, as well as several Chinese embassies in foreign countries. His request was denied each time. 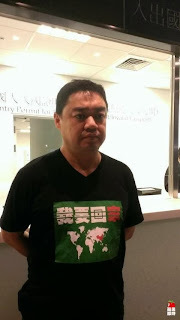 For the latest attempt, he traveled to Hong Kong, a special region now fully under China's jurisdiction, from Taiwan. Upon landing, he announced his identity and his intention to be extradited to mainland China. He wore a T-shirt with big characters stating "I Wang to Go Home". The Kong Kong custom officials detained him briefly but eventually put him on a flight back to Taiwan instead. Almost three years ago, we reported that Chai Ling had lost her court case against the Long Bow Group, the producer of the documentary Gate of Heavenly Peace. The court had previously thrown out Chai Ling's claim for defamation, but she launched a trademark claim intended to bankrupt the defendant. That lawsuit was also summarily rejected by the court. Not to be deterred, Chai Ling appealed again in early 2012 which she also lost. Previously, a group of Chinese student leaders including her former husband Feng Congde had co-signed an open letter supporting Chai Ling's case, claiming to "defending the name of June 4th." Another group of intellectuals, although somewhat lesser known, published an open letter in support of the Long Bow Group, to defend the freedom of speech. Chai Ling did not mention this legal struggle in her autobiography. 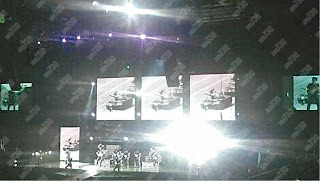 This was not some politically-sensitive rock concert, but the opening night of Cirque du Soleil’s Michael Jackson ‘The Immortal’ world tour, where during the climax of the track “They Don't Care About Us” the image appeared momentarily for a total of about four seconds within a montage sequence of civil-rights style protest movements, resulting in an audible collective gasp from the audience. The image, although recognized throughout the world, has been almost completely erased inside of China, where any mention of the events surrounding the protests remain strictly forbidden. The response of the audience (or at least those sat around us) suggests, however, that the image is still recognized, even when taken out of context. Born in 1930, Chen Xitong was a student of literature in the famed Peking University in 1949, the eve of the founding of People's Republic of China. That was when he joined the Communist Party and started a career in the new China's political bureaucracy. By the early 1980s, he has risen to the top level in the city government of Beijing and become the mayor of this capital city in 1983. By most accounts, Chen Xitong and his city government took a hard-line position against the student movement in 1989 from the very beginning and helped to establish the official stance that the movement was "turmoil" that had to be suppressed. As the mayor, Chen Xitong himself was rarely seen in public during that fateful period. Notably, he was a minor participant in the disastrous meeting between Li Peng and some of the student leaders. On the night of May 20, 1989, Chen Xitong, in his official duty as the mayor, signed a series of orders on behalf of the city government that put the martial law in motion. It is not clear what a role he actually played in the execution of the martial law and the eventual massacre. After the bloody crackdown, Chen Xitong, once again as the mayor of Beijing, submitted a lengthy report to the National People's Congress on how the turmoil and "counter-revolutionary rebellion" was suppressed. It was and still is, by far, the most detailed account of events from the government's perspective. 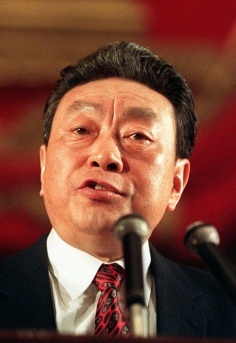 Post-1989, Chen Xitong was elevated to national leadership position as a member of the Politburo. But his fortune quickly collapsed in 1995 when he was accused of grave corruption and embezzlement. Soon, he lost all his official posts, striped the Party membership, and was sentenced to a 16 year term. He had been on medical parole since 2004. Chen Xitong died of cancer on June 2, 2013, just short of the 24th anniversary of Tiananmen Massacre. Born in 1920, Xu Liangying spent his formative years during various wars. While he was enthusiastically devoting himself to the efforts of Communist revolution, he nonetheless kept up with his studies and became a well trained physicist and historian. In 1957, he quickly fallen victim to the "Anti-Rightists" movement and was expelled from a university job to his hometown for farm labor. It was in those dark years he managed to translate the entire Collected Works of Albert Einstein from English. The Chinese version was published in 1976, at the end of the Culture Revolution and became an instant sensation. Near the end of 1986, Xu Liangying, along with Liu Binyan and Fang Lizhi, called for an open symposium in remembrance of the 30-year anniversary of the "Anti-Rightists" movement. After the eruption of a student movement, Fang Lizhi, Liu Binyan, and Wang Ruowang were expelled from the Party. Xu Liangying avoided that fate only by a mistaken identity in the official report. Undeterred, he turned himself in to the authority as a protest. In 1988, Xu Liangying became an active supporter and participant in the "Democracy Salon" organized by Liu Gang at Peking University. 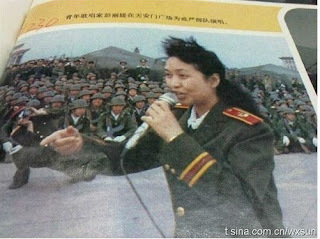 He was also very close to active students such as Wang Dan. 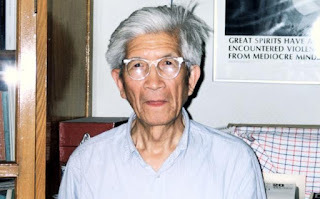 In early 1989, shortly after Fang Lizhi published his open letter to Deng Xiaoping, Xu Liangying organized many scientists and educators to co-sign a supporting open letter. However, he did not actively participating in the ensuring student movement, partly due to his heart conditions. Nonetheless, he was closely monitored by authorities during the entire movement. He refused to escape abroad after the massacre and stayed in Beijing, making every effort to help victims such as Fang Zheng. Xu Liangying passed away in Beijing on January 28, 2013. He was 93.